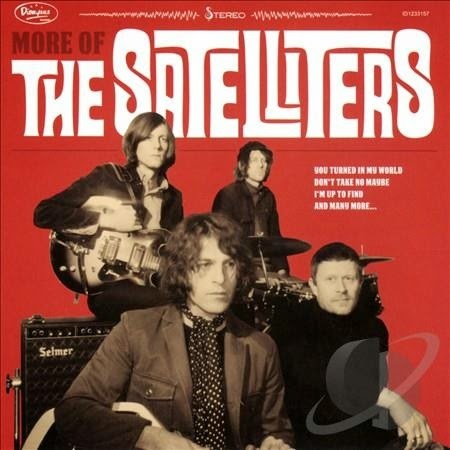 “More of The Satelliters” and “Liverpool Beat” by The Dukes of Hamburg! In celebration of the 20th anniversary of The Satelliters, Dionysus Records has just released our eighth album with the group, More Of The Satelliters, available on LP with an old-style slick on board cover, colored vinyl and digital code, as well as CD and of course digital download from all the usual places; iTunes, Emusic, Amazon, etc. On the LP and CD the group has paired nine original tunes with three classic garage-monsters in an all analogue-recording! Those of you who purchase a digital download will have to live without the three cover tune, all the more reason to buy the vinyl. 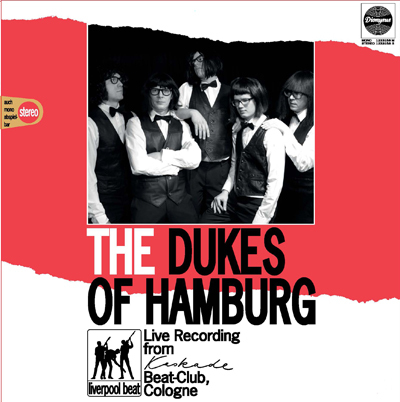 Also out at the same time, the new Dukes of Hamburg LP, Liverpool Beat available on vinyl only! 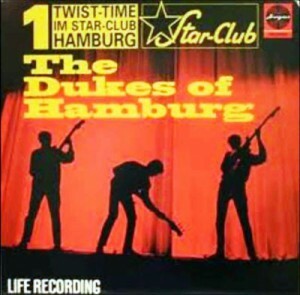 There are two Dukes of Hamburg, both are a mix up from each-other, one from Bielefeld, Germany and one from San Francisco, USA. The story so far: In the early 90s, Thilo Pieper went to San Francisco and formed the American Dukes with members of The Mummies, The Astronauts and The Phantom Surfers, and bassist Shannon Smith. The American Dukes toured up and down the West Coast and did two very successful European tours, then Thilo moved back to Germany and continued The Dukes in Bielfeld while the American Dukes were still doing shows. Both bands play ‘60s beat and garage with wild abandon and are inspired by ‘60s German Beat favorites as well as early Pretty Things and other groups from the pre-psychedelic 1960s rock ‘n’ roll scene. Liverpool Beat is the first album by the German Dukes of Hamburg on Dionysus Records, following the release of three American Dukes LPs on the label in the ‘90s. Both The Satelliters and Dukes of Hamburg have been with Dionysus since the mid’90s and in fact Thilo Pieper is the person who connected The Satelliters with Dionysus. It’s a fab honor to release records with both groups in 1014! Get them directly from Dionysus! 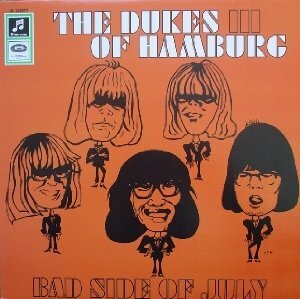 Last year when moving the Dionysus Records office I found a few boxes of empty Dukes of Hamburg LP covers. 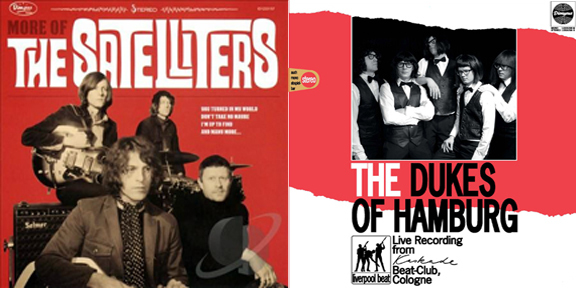 Shortly after, our old pal, Dukes of Hamburg’s Thilo Pieper reconnected with Dionysus, giving us news that there are now two reformed Dukes, in the US and Germany, and sending over some new recordings of his version of the group based in Bielefeld, Germany. We agreed to do a new LP and run enough LPs to fill the empty jackets for both Bad Side of July (Dukes of Earl) (around 300 copies) and Twist-Time im Star-Club Hamburg (around 400 copies) LPs. Both are available via Dionysus Records Mail Order (follow the above links) as well as select shops and internet mail order companies… you can only get them on vinyl as there are no CD or download versions of either! The represses also have different label designs than the originals, courtesy of Thilo! The new Dukes of Hamburg release Liverpool Beat on Dionysus will be out soon, we’ll let you know when it’s just about ready to ship!